The Tsonga also originated from Central Africa, and came to South Africa by way of Mozambique, where they are estimated to have arrived in the late 14th century. For centuries many Tsonga were traders along routes spanning the coast of East Africa and southern Africa. Trade was mainly for beads and cloth, in exchange for gold and ivory. The Tsonga were known as competent big game hunters, bringing down elephants along the Limpopo, Nkomati and Zambezi Rivers. During ‘a time of great tribulation’ with the rise of the Zulu nation from 1820, the generally peaceful Tsonga agriculturalists fled to northeast South Africa to escape oppression. Zulu general Soshangane subjugated the remaining Tsonga and enforced Zulu custom – and the Shangaan, a Tsonga sub-group, came into being. The Tsonga who settled in what is now Limpopo brought with them distinctive elements, such as a fishing industry, Ndau spirit possession and flamboyant textile arts, dance and music. Gazankulu was the Tsonga ‘homeland’ established and declared self-governing under the apartheid government in 1973, but many Tsonga people lived outside of the homeland – in fact across southern Africa. Gazankulu was incorporated into South Africa in 1994. Ancestor worship also plays a central part in Tsonga life. Homesteads have a gandzelo or ancestral shrine often located under a tree; there traditional beer and snuff are offered to the ancestors, and sometimes chickens, cows or goats are sacrificed. Tsonga traditional healers – n’angas – are renowned for exorcism and spiritual training. 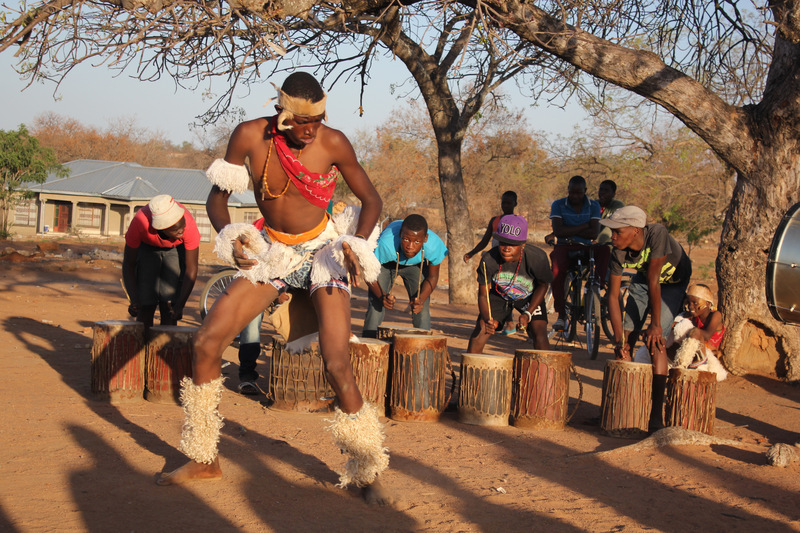 The cult of Ndau-possession came with the Tsonga from Mozambique, along with the nyamusoro, or performers of wild molepo possession dances. Among other Tsonga dances, the xibelani dance – where women wear heavy, multi-coloured skirts and beads and shake in unimaginable ways – is a highly impressive expression of heritage. The Tsonga are also well-known for their textiles, such as the beautifully beaded minceka; for their art, inspired by the ancestors and often including fish; and for their music, traditionally played on drums, flutes and marimbas.